See how you can create and execute an effective global event strategy. We'll show you how to put together an event strategic plan, streamline your event marketing process and be a best in class meetings and events team. Based on these best practices, Aventri has developed the Event Strategy Framework. It outlines the four levels of connections required to be a best in class meetings and events team. Want to get started on the Event Strategy Framework and grade your Event Strategy? Across these themes runs a consistent thread: capturing and analyzing event data to improve events and outcomes. 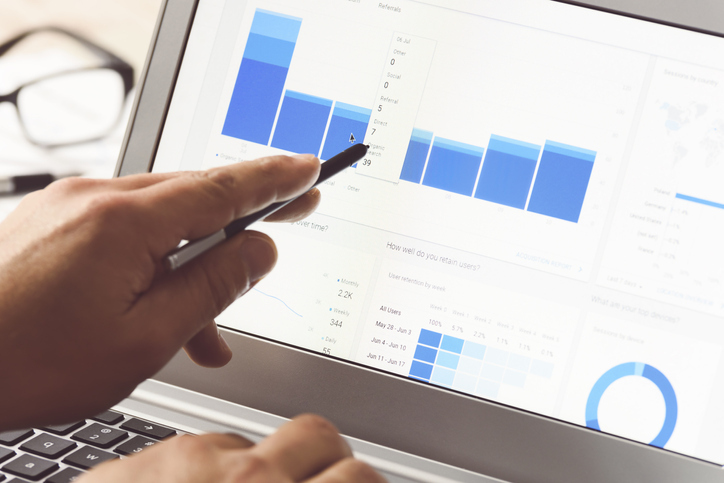 As we break down each of these four themes, follow the data and the KPIs to understand why they matter and how understanding that data helped improve decision making. The following four best practices have been captured after speaking with various meeting and event planners to understand how they view their events through the eyes of a customer. 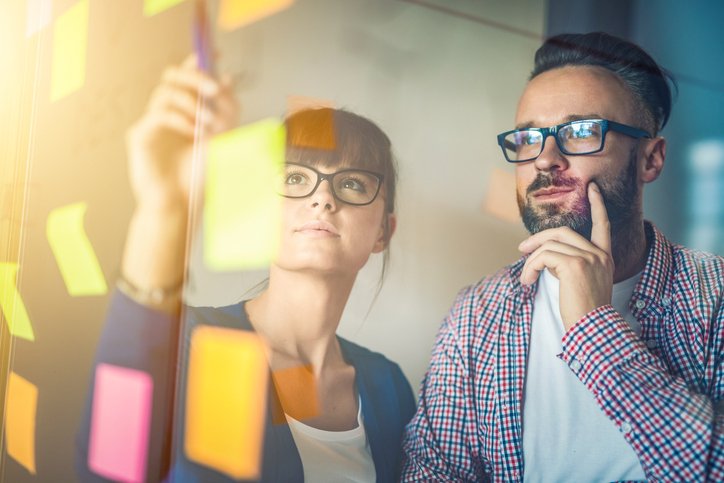 By the end, you should be able to identify gaps in your own event strategic plan and have the framework for developing a roadmap to address those opportunities. With these tools in hand, you will be able to make running events easier, more successful, more efficient and focused on moving your business forward. 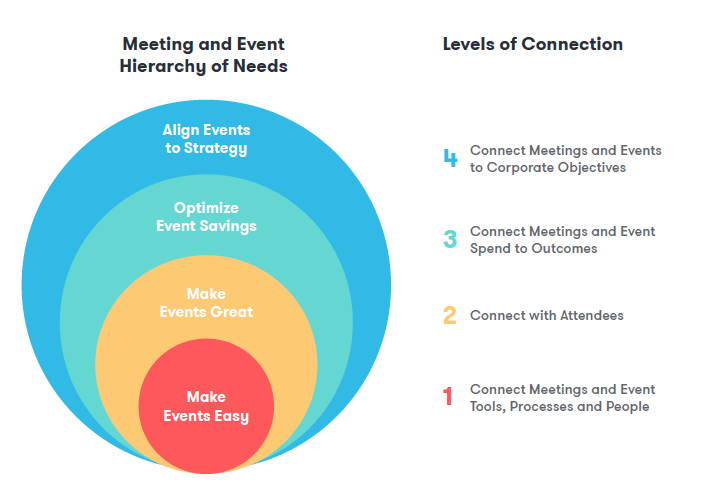 Events teams today are employing best practices with connected solutions, reduced manual tasks, and ease of management. Here's how each element plays a larger role in event automation. Event automation is focused on how multiple solutions can work better together to benefit a company's global event strategy. Planners are working with marketing, sales, finance and IT to ensure that event management solutions are aligned with each department. They are connecting their solutions to marketing automation platforms, CRM systems, accounting software, and other tools across the technology stack in order to provide a more complete view into customers, constituents and the market. A prestigious university in the UK had been using multiple small systems to create a call for papers and to register delegates for their year-round conferences and events. The university decided to consolidate these systems to create a simple user journey for delegates attending the conferences. They created workflows to automate their business processes through their event management software and offered these workflows platform-wide for all conferences and events. Event automation relieves an events team of low value, tactical tasks. This frees up an events team’s time to allow them to focus more on the events and less in the events. One of the largest global providers of insurance and employee benefits programs hosts thousands of workshops with corporations’ employees around the world. They are automating website and email templates to ensure each workshop and employee communication is customized, clean and consistent. Where they used to spend chunks of time pulling reports from different places, they are now aggregating reports into one dashboard, allowing them to track attendance and no-show rates, look at attendee to appointment conversion and monitor waitlists. This has saved their resource coordinator around 1,500 hours in the last year. Everyone has a different way they complete certain tasks. On a team, this can result in confusion if the person who normally handles a specific task is not there on a given day to complete it. Automation allows you to formalize a process for your event tasks, no matter who is completing it. A multinational cybersecurity provider runs hundreds of internal and external meetings across the globe every year in multiple languages, currencies, and departments. Managing all of these meetings was cumbersome and required many different employees and internal groups to coordinate across systems. Through a custom-designed solution, they were able to consolidate all of their registration and marketing into one platform, distributed through a global events calendar. Visitors to this events calendar can search and sort by location, date range, language or topic to find the right event to attend. Department heads and global executives are now able to track global metrics and automatically receive reports on registration numbers by event type and location to see what is performing best and adjust their meeting and event strategy accordingly. The attendee experience is made up of making the experience better, leading to better experiences in the future, and developing a more experience-focused team. Learn how these elements can play into different experiences. The attendee experience maps offline touchpoints and ensures each one is optimized and focused on an established outcome. It requires a deep understanding of your constituents and their needs and preferences. When done right, it leads to emotional connections with a brand. An American university was looking to improve the experience of fans, alumni, students, faculty and staff during an annual basketball tournament. They developed a mobile app to manage pre-game festivities, donor events, and even Sunday church services around each tournament host city. The development team at the university was able to track invitations to events, monitor attendees, and send the right resources to the right events depending on where alumni and donors would be. They had 3,000 downloads during the first year of implementation. The attendee experience collects offline information, like session attendance, session quality, and business card contact data. Beyond simply aggregating and reporting this data, great event and meeting leaders are using this information to make decisions that lead to improved events in the future. An Australian leader in cloud infrastructure and digital technology holds customer events around the globe focused on enabling their clients to leverage emerging technology. To better understand what their customers needed and were interested in, they employed RFID and smart tag technology to track 200+ sessions. 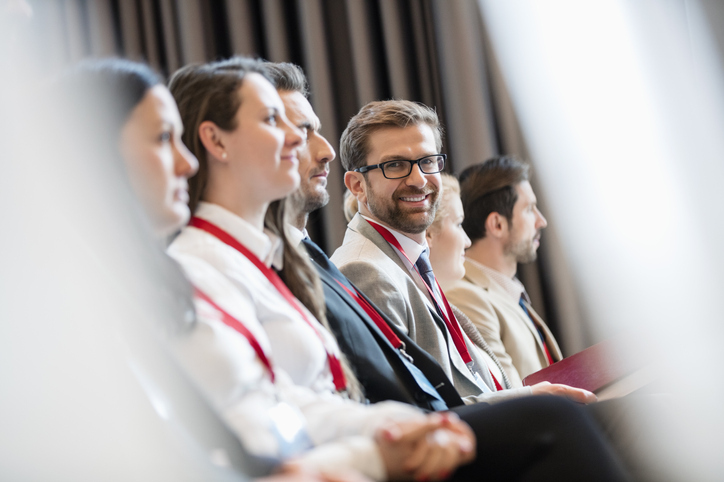 After the event, they were able to create more intimate experiences with customers by tying conversations back to the sessions and programs they attended. They were also able to iterate sessions based on attendee activity and feedback. This had led to an average of one additional opportunity per customer per year, and 10% lower churn. The attendee experience improves when team members are getting the right attendee information at the right time. When marketing or sales is given great attendee data, they can position themselves and their services based on what is known about a customer or prospect to create opportunities and close business. A global asset management group holds regional investor conferences around the world. They employed session tracking to understand what sessions investors were attending. This session data was shared with the sales team in real time. 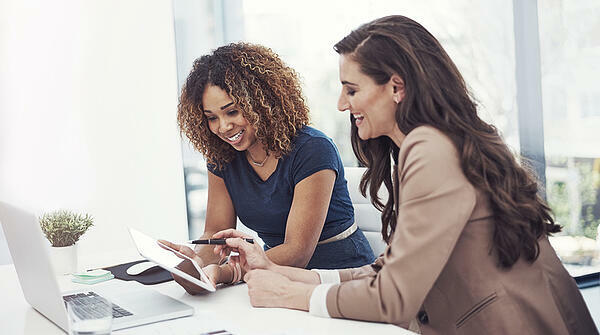 Within five minutes of a session’s completion, a sales team member would follow up with an investor. They knew what sessions they attended, what subject matter they consumed, and how long they stayed in the session leading to a 10% lift in assets per investor attending. Every meeting and event planner is given a budget and CFOs are looking for a tangible return on investment. The savviest planners are understanding all of the direct and indirect costs that can be reduced, replaced or eliminated. They have the tools to enable teams of planners to negotiate rates on event costs, they can speed up venue sourcing processes and they provide visibility and analysis into event spend. Due to reduced commissions from major hotel chains, business models are changing and the sourcing landscape is transforming. For travel and sourcing agents, being able to prove their influence on cost savings is critical to their survival. For internal sourcing teams, being able to justify technology spend is often a mandate from finance. An international meetings solutions company was looking to maintain its book of business after recent commission cuts from suppliers. They scheduled quarterly business reviews with their top 100 accounts to review the impact they have had on negotiated cost savings. They broke down savings by room rate, meeting space costs, food and beverage expenses, plus concessions received. On average, they were able to validate that a client saved 12x the cost of their services. Their venue sourcing solution enabled their team to negotiate more effectively and report on the results with ease. For large teams of meeting planners, sourcing venues takes more time than any other part of the planning process, as it leads to backlogs in meeting requests and fewer meetings held. Finding solutions that include RFP fulfillment services is becoming more common among leading planning organizations. A multinational computer technology corporation holds thousands of events for internal and external audiences. They ran into a bottleneck in the RFP process that limited their ability to execute and properly plan for each event. They engaged a venue sourcing solution that leveraged sourcing experts committed to following up on RFPs and ensuring a strong quality and quantity of bids. After the first year of implementation, the time to complete an RFP process was reduced by 20%, which led to 10% more customer events. With a large team of planners managing a high volume of meetings and events, having different processes and savings can result in cost increases. Leading planners have oversight over every bid, every negotiation, and every dollar spent. With this data centralized in a dashboard, they are making real-time decisions on spend based on trends and forecasts. A Fortune 500 insurance and financial investment management company runs thousands of meetings per year at client sites and investor meetings. Through their venue sourcing solution, executives are able to see all ongoing meetings and communicate with individual meeting owners as necessary, all in a central location. The data and insights are reviewed with meeting owners weekly, which allows the organization to adapt their process in an agile way. They have seen 10-20% improvement in negotiated cost savings per meeting owner. Global event strategies are tactics for achieving a larger goal of the organization. Organizations must have visibility into their meetings to analyze performance against the goal. With that, each event produced should have positive financial impact, while mitigating risk to the entire business and ensure compliance. When they do these things, meetings and events become a strategic tool for moving the business forward. Organizations struggle having visibility into the data required to manage meetings and events effectively. In many cases, data is stored in multiple locations, across systems and workflows, leading to less collaboration as everyone is working in a different system and does not know what the other is doing. Bringing systems together and centralizing data leads to financial efficiencies and the sharing of best practices across the organization. A top-ranked American university has over 400+ planners across campus. Officers within the university realized there was an opportunity to centralize their many meetings and events within one platform. They built an events platform for planners to collaborate on best practices and to formalize their processes under one university-wide events platform. Departments were now given visibility into the events supporting their department, could view key metrics that would help them understand their performance, and find new ways to drive the metrics forward. Forecasting meeting and event spend can be a perilous task. There are many moving parts and many expenses that are not understood until after an event occurs. Finance requires them, functional teams rely on them and shareholders expect them to be right. Having a system in place to stay within the margin of error is critical. A top computer and data storage company holds events to support their marketing and sales efforts. When a request came in to host a potential event, marketing or sales leadership had to identify the costs for the event and the expected return. Events could be prioritized based on audience exposure, pipeline expectations or customer retention. Within their event platform, the leadership teams could integrate their CRM to track their progress to their goals and deliver on their targets. This led to event expenses and outcomes being within 2% of forecast after two years of implementation. Event data is typically some of the most insecure data in a company. It is typically captured offsite, shared in public forums and stored on mobile devices. Customers and prospects must feel that their data is protected, or they will not engage with your brand. As you look to establish trust in your market, your event solutions must be aligned with your corporate policies on risk and compliance. An American multinational financial services company operates strategic meetings management through its event management solution. From meeting request through sourcing, through executive review for compliance concerns, the program is focused on identifying and mitigating risk. Due to a risk diagnostic, they recently instituted a two-minute time out of the platform with encryption for users engaging in their national meetings. Meetings and events should lead to positive financial performance for the organization. Some meetings and events drive revenue, but all can reduce cost. Some rely on revenue and earnings to prove a return, others measure effectiveness through participation, engagement, and feedback. Whatever the metric, tracking financial performance can ensure that events receive credit and consequent support for their work. A leading North American bank held investor meetings around Canada, serving lunch to registered attendees. They found their no-show rate was 30%, which was leading to wasted expense on food and beverage. They simplified their event invitation process, to allow their financial consultants to manage invitations, RSVPs and attendees. They were able to reduce their no-show rate to 7%, saving 3,000 wasted meals per year. These leading best practices help planners drive an effective global event strategy. We hope that you have found a few that you can employ in your organization and understand the data that is being measured, reported on and analyzed in these organizations.